Helping our members and community bloom! We are a group of friendly volunteers who love to grow things, to learn about gardening, and to share our knowledge with others who also love gardening. We are also dedicated to beautifying our community and keeping it green. Photo: Lorraine DeFazio. Our society first began in 1908 but was discontinued for 18 years due to World War I. The society was restarted in 1926 and is still going strong today—almost 90 years later! Representatives from these societies meet three times a year to discuss new information from the Ontario Horticultural Association, talk about common issues, share ideas, and plan for future meetings. Spring has Sprung! 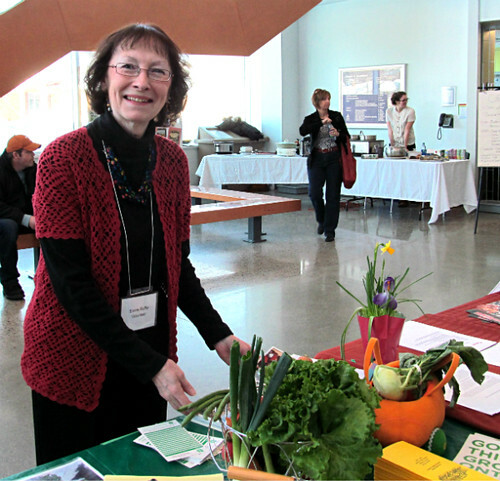 Don’t miss us at the Annual Hello Spring at New North Greenhouses! Yes, believe it or not Spring is around the corner! Want us to notify you of new posts on the SSM Horticultural Society blog? Enter your email address!